First stop, the Natural History Museum! 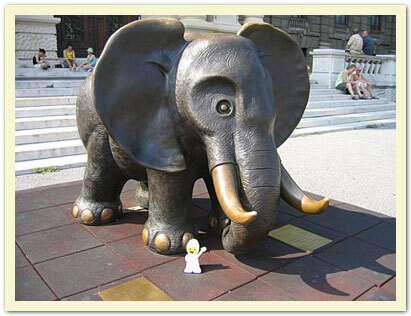 Hey, this elephant isn't so big! July 2006. 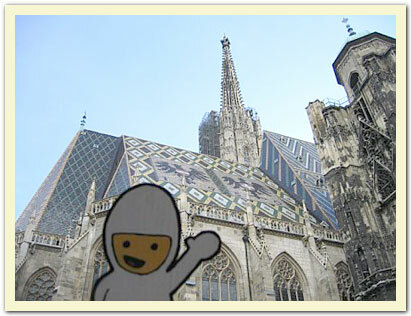 Photo taken by Christine C.
Bumperboy lurks in the shadows of the Stephansdom, AKA St. Stephen's Cathedral. 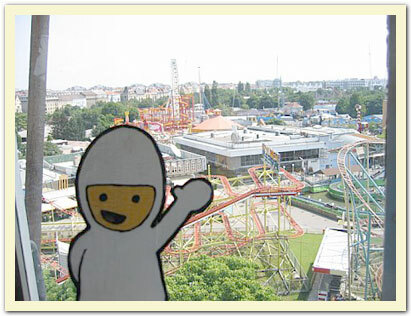 Bumperboy braves the famous Riesenrad ferris wheel and gets a great view of Volksprater amusement park. 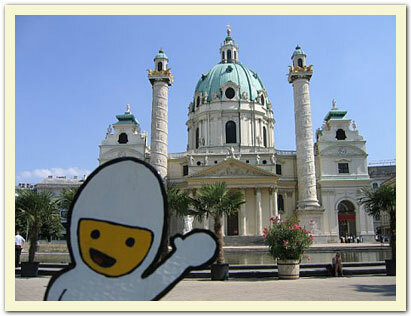 This is Karlskirche, which is said to be the finest baroque church in Vienna! 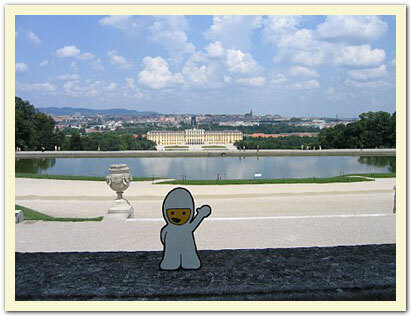 Bumperboy gets a great view of Schloss Schonbrunn (Schonbrunn Palace) and Vienna in the distance. 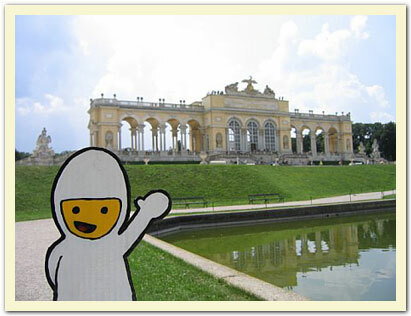 Bumperboy visits the beautiful Gloriette in the gardens of Schloss Schonbrunn.